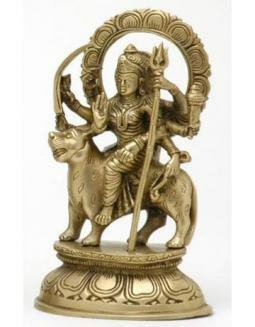 This Indian statue depicts the Goddess Durga sitting in a regal pose upon a throne, with her vehicle, a lion, resting at her feat. 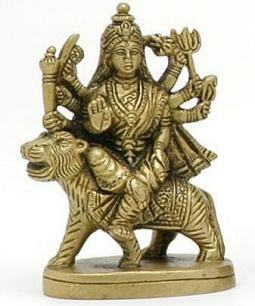 Durga's right foot is tucked up under her, while her left foot hangs down and gently touches the body or her animal companion. 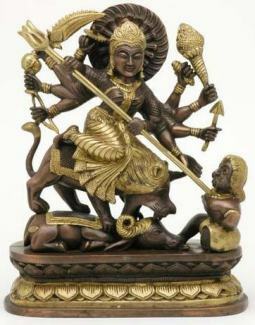 At 11 inches tall, there is ample room for detail in the face of the Hindu Goddess Durga.